I was saddened to read in my good friend Bryan Hanks’ blog that the Indians’ Class A team is leaving Kinston after the 2011 season to play in Zebulon. 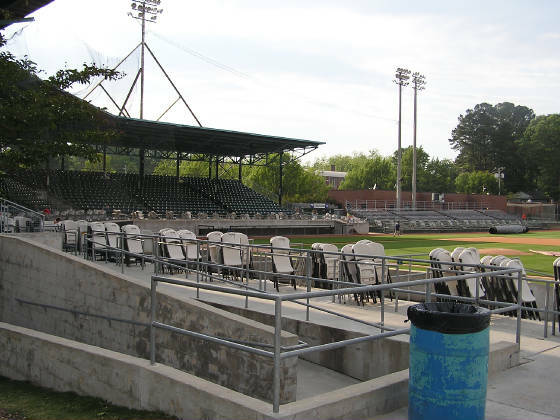 Grainger Stadium lacks the modern amenities that the new park in Zebulon can offer. But I still hope another minor league club ends up there. It may be 61 years old, I but enjoy catching a ball game there. There isn’t a bad seat in the joint, and you can get a hot dog and a beer without taking out a second mortgage. I’ve been several times now, and I’m going to be bummed if 2011 proves to be the last time.